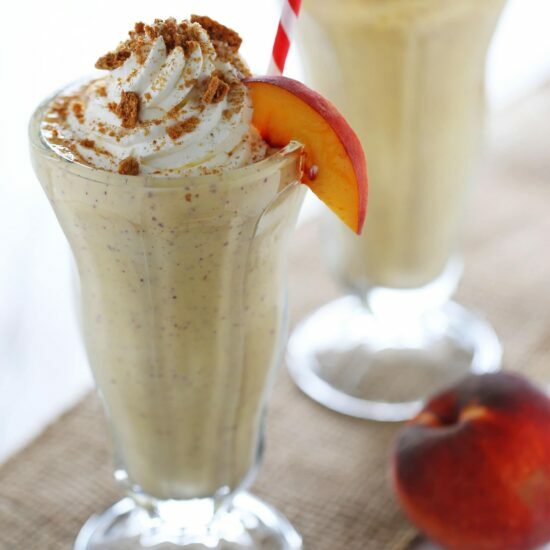 Peach Pie Milkshakes are perfectly frosty, fresh, and flavorful making them the perfect summer dessert recipe. Taste: Like the sweetest summer in every sip! I just love the little bit of warmth from the cinnamon, too. Texture: Thick, frothy, and oh-so-creamy. Ease: These milkshakes come together in a matter of minutes, much faster than making an actual peach pie. Pros: A perfect summer dessert. Would I make this again? Absolutely, you could even make this when peaches aren’t in season by using frozen peaches, which are often flash frozen when they are perfectly ripened. There’s nothing quite as perfect as a fruity milkshake to cool you down on a sweltering summer day. That’s why I’m so excited to share this recipe with you! 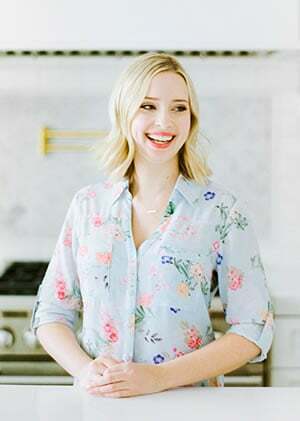 Back in June, I was challenged by REAL® Seal to create a summer ice cream recipe, and I came up with this Strawberry Cheesecake Ice Cream which my family loved. Now, as we hold onto the last month of summer, REAL® Seal has challenged me to create a “shake of the summer.” I have to admit, this one was an absolute blast to work on. All I had to do was visit the local market and see which summer fruit smelled the most fragrant and looked the freshest! Peaches won out by a long shot, and I was well on my way to a delightful summer milkshake. I added a few extra touches to this recipe to really take it to a new level of deliciousness. First of all, I left the peach skin on before adding it to the blender. Why? Because I love the color and texture it provides! If you want something smoother, feel free to peel the skin first. Secondly, my favorite tip for ultra smooth, creamy, and sweet milkshakes is to add just 2 tablespoons of sweetened condensed milk. Be sure to pick up a can of the stuff that has that little red REAL® Seal to ensure you’re buying genuine dairy products that meet strict standards and are made with milk from cows on U.S. dairy farms. The same goes for the milk and vanilla ice cream! 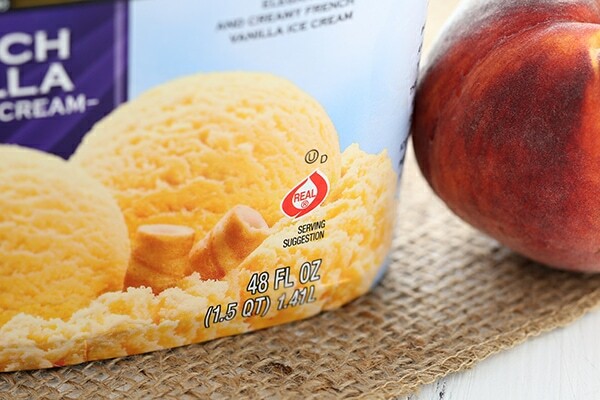 Now, you can make this recipe super easy and use store-bought REAL® Seal vanilla ice cream, or you can make your own. Check out my tutorial here for making homemade ice cream without a machine. 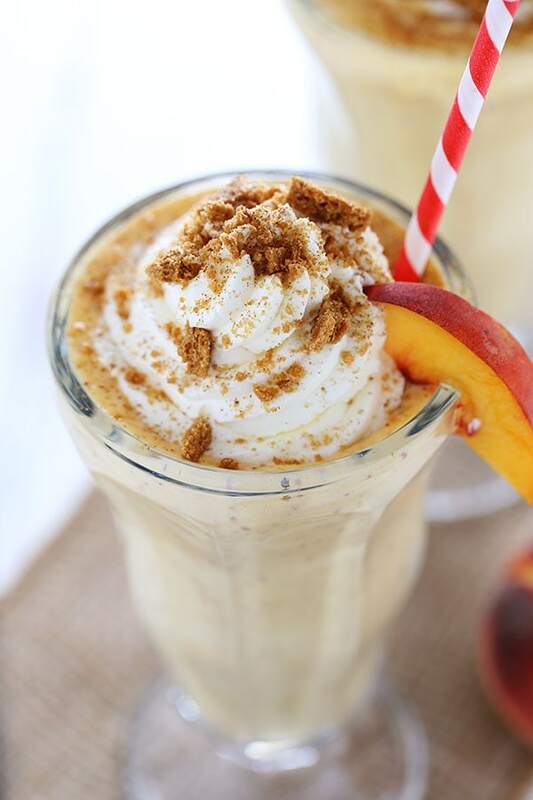 To really take these Peach Pie Milkshakes to a whole new level, top them with fresh whipped cream, a dusting of cinnamon, and a sprinkling of crushed gingersnap cookies or speculoos cookies. Then they’ll really taste like a peach pie! Whatever you do to make this recipe your own, I encourage you to use real diary ice cream and milk. Nothing else quite compares!! For more recipes and inspiration, be sure to check out REAL® Seal on Facebook and Pinterest. Note: I like the color and texture that the peach skins provide, so I don’t bother peeling the skin. If you want a smoother texture feel free to peel the skin. Place all milkshake ingredients in a blender and blender until smooth. 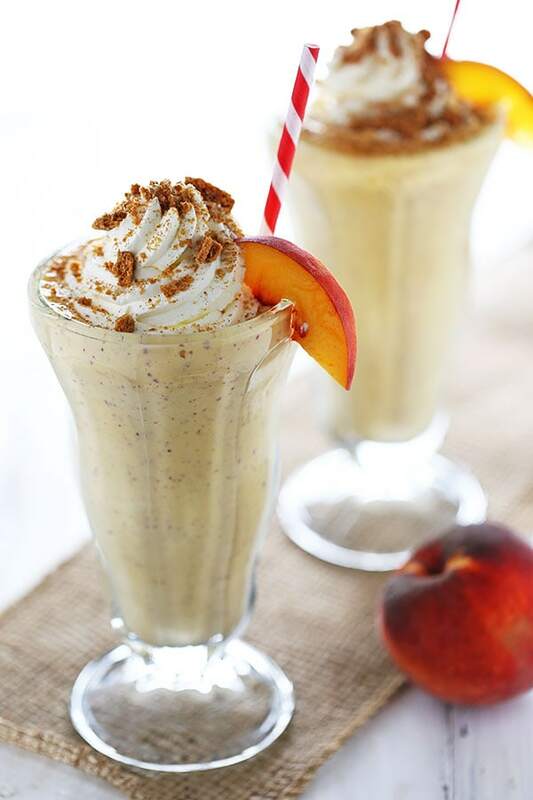 Pour into two milkshake glasses and top with whipped cream, crushed gingersnap cookies, and peach slices for garnish. Serve immediately. 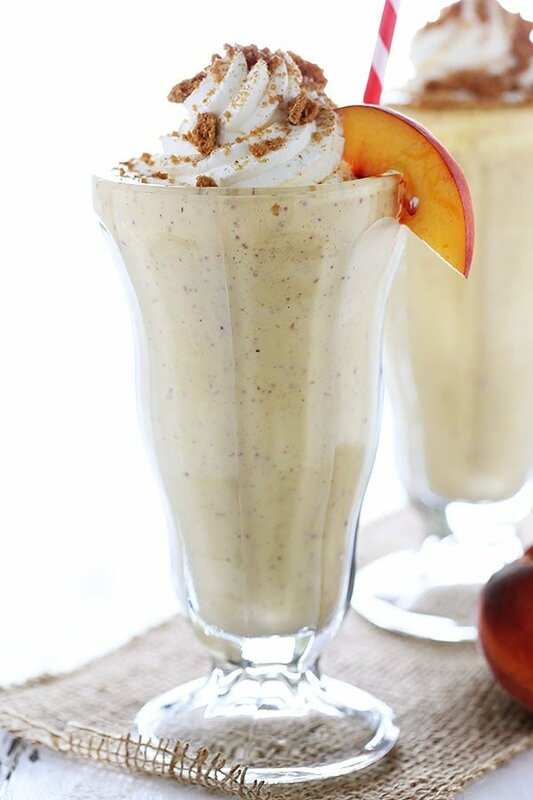 I am full in enjoying the peach season so this shake needs to happen in my kitchen! Sounds incredible! 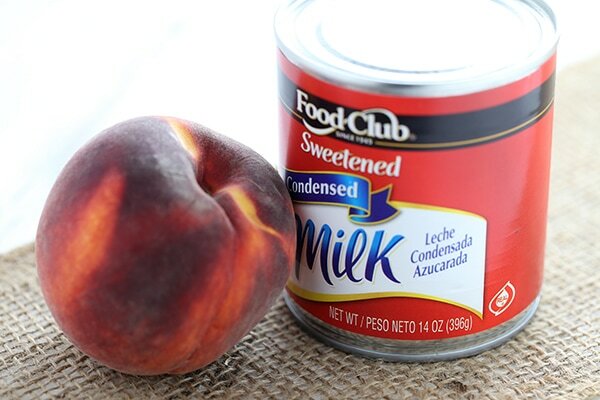 We still have about a dozen gorgeous CO peaches left…I see these milkshakes in our future. Beautiful! Perfect summer treat for the entire family!